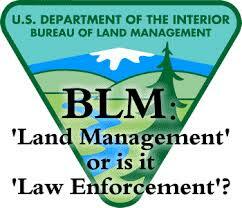 Another Bundy confrontation on the way? 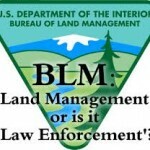 Almost one year to the day of the Cliven Bundy standoff with the BLM, we have a situation developing in Southern Oregon’s,JosephineCountythat may become the standoff at Sugar Pine. At the request of the Sugar Pine Mining Claim owners, Oath Keepers of Josephine County mission is to ensure the mining claim owners 5th Amendment Constitutional Right to Due Process is not violated by the Bureau of Land Management. III Percent groups are called on to support the Constitutional defense operation at Sugar Pine Mine in southern Oregon. While 10 Republican senators voted for Lynch’s final confirmation, it was the cloture vote—which had a 60-vote threshold—where Senate GOP leadership could have stopped Lynch if they wanted to. A whopping 66 senators voted for cloture, which means 20 Republicans technically voted for Lynch’s nomination—and by extension, for President Obama’s executive amnesty indoing so. Senate Majority Leader Mitch McConnell personally whipped votes for Lynch’s nomination, and for the cloture vote, according to a report from The Hill‘s Alex Bolton. Those Republicans who voted for cloture alongside all 46 Democrats are: Sens. Lamar Alexander (R-TN), Kelly Ayotte (R-NH), Richard Burr (R-NC), Shelley Moore Capito (R-WV), Thad Cochran (R-MS), Susan Collins (R-ME), Bob Corker (R-TN), John Cornyn (R-TX), Jeff Flake (R-AZ), Cory Gardner (R-CO), Lindsey Graham (R-SC), Orrin Hatch (R-UT), Ron Johnson (R-WI), Mark Kirk (R-IL), Mitch McConnell (R-KY), Rob Portman (R-OH), Pat Roberts (R-KS), Mike Rounds (R-SD), John Thune (R-SD) and Thom Tillis (R-NC). Kelly Ayotte (N.H.), Orrin Hatch (Utah), Lindsey Graham (S.C.), Susan Collins (Maine), Jeff Flake (Ariz.), Mark Kirk (Ill.), Rob Portman (Ohio), Thad Cochran (Miss. ), Ron Johnson (Wis.) and Mitch McConnell (Ky.). A senator who votes to confirm Ms. Lynch would be guilty of aiding and abetting President Obama’s unconstitutional amnesty decree. It does not matter whether the senator claims to oppose the amnesty decree and wishes Ms. Lynch would refuse to carry it out. Ms. Lynch has put everyone on notice that she will carry it out; she cannot carry it out unless she is confirmed by the Senate. A vote to confirm her, therefore, is not only a vote for President Obama’s unconstitutional usurpation; a senator who votes to confirm Ms. Lynch will be just as culpable for the implementation of the president’s unconstitutional decree as Ms. Lynch will be — after all, Ms. Lynch cannot implement the plan unless the senators confirm her. As the Nations’ top law enforcement officer, Lynch would almost certainly have an impact on our Second Amendment rights. We know Lynch supports the Obama administration’s position to ban “assault weapons.” And, we know that the general-purpose rifles that gun control supporters call “assault weapons”–such as the AR-15–are the most popular rifles in the United States. We also know that the President’s previous choice for Attorney General–Eric Holder–clearly demonstrated the damage an Obama-appointed, agenda-driven, anti-gun Attorney General can do to our rights and freedoms as Americans. Gray died April 19 after suffering a fatal spinal injury while in police custody. Authorities have not explained how or when Gray’s spine was injured. Police have said Gray should have received medical attention at the spot where he was arrested — before he was put inside a police transport van handcuffed and without a seat belt, a violation of the department’s policy. The new Task Force is chaired by White House Domestic Policy Advisor, Cecilia Munoz and its representatives include almost everyone from Obama’s cabinet. Munoz was previously vice president of the National Council for La Raza (or “the Race” in English), an organization that reportedly encourages illegal aliens and non-citizens to vote, pushes for “Reconquista” of the Southwest, and whose founder once advocated for the mass murdering of white people. Still, the group manages to receive millions of your tax dollars annually. Suit is on behalf of Americans who were fired and had to train H1-B replacements. Christians In Arizona Get So Enraged At Muslims Slaughtering Christians That They Go Right In Front Of The Muslims, And Tear The Koran To Pieces, And The Muslims Attack Them. For the first time since the founding of the UPA in 2001 we are endorsing a candidate in the presidential primary. Scott Walker, for his updated position on Borders and Immigration enforcement. So just as the Catholic Church is helping to pour tens of thousands of Muslim refugees into US towns and cities, and as the Pope himself welcomed them to Italy in 2013, here, we have news that (surprise!) some “refugees” want to kill the Pope! Puerto Rico’s top finance officials said the government of the U.S. territory will likely shutdown in three months because of a looming liquidity crisis and warned of a devastating impact on the island’s economy. OBAMA’S IRANIAN-BORN ADVISER ‘ARCHITECT’ OF DEAL? NEW YORK– Critics of the Obama administration’s diplomatic clash with Israeland tilt toward Iran, resulting in a nuclear “framework agreement” to be finalized by the end of June, have pointed to the influence of top White House adviser Valerie Jarrett, who was born inIran. U. of Florida frat (ZBT) accused of spitting on veterans, peeing on American flag.